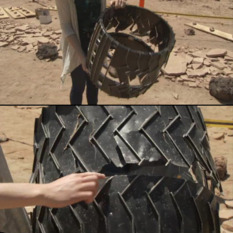 Now that a Tiger Team has assessed the nature and causes of damage to Curiosity's wheels, I can finally answer your frequently-asked questions about what wheel damage means for the mission, and why it wasn't anticipated. 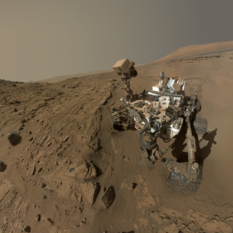 On Wednesday's "Virtually Speaking Science" podcast, The Planetary Society’s Emily Lakdawalla and Space.com contributor Rod Pyle look back at the first two years of the Curiosity Rover’s mission on Mars, and look ahead to the future of Mars exploration. 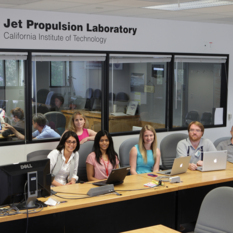 NBC News science editor Alan Boyle is the host for the show, which airs at 5pm Pacific / midnight UTC. 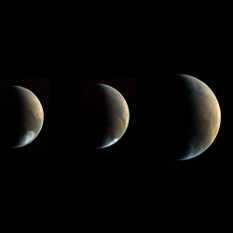 Valerie Fox reports from the 8th International Conference on Mars on the habitability of the Red Planet. 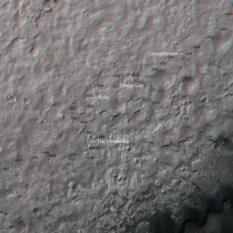 A single day's observations take us from orbital overviews all the way down to ground truth. 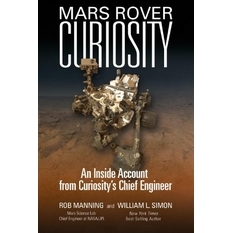 I am both elated and relieved that Rob Manning and William Simon have written Mars Rover Curiosity: An Inside Account from Curiosity's Chief Engineer. The book delivers on the promise of its title, in a slender volume that is full of great stories you'll read nowhere else. 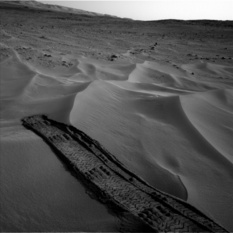 Curiosity has been busy. The rover has traveled more than half a kilometer since my last update, making steady progress beyond the Kimberley toward Murray Buttes. There hasn't been much time for science, but they sneaked in an observation of a Mercury transit across the sun, and a neat MARDI video of the rover driving. 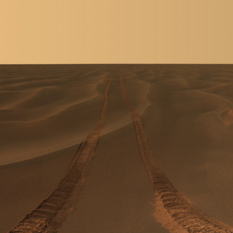 Pioneer trails extend all the way to Mars.